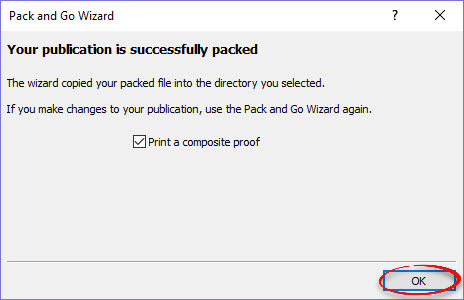 To make the publication usable on computers that don't have the Publisher program, Pack and Go allows you to save the publication so that you can easily distribute the file to those people. This method will preserve the format and content of your document. 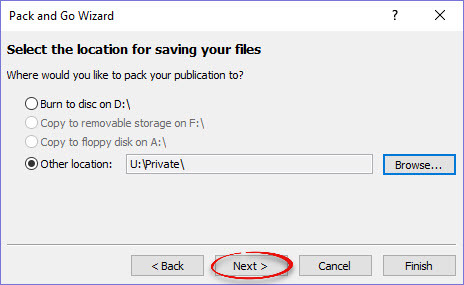 You can also save the publication as a PDF/XPS file. This process also works in Publisher 2013 and 2010. 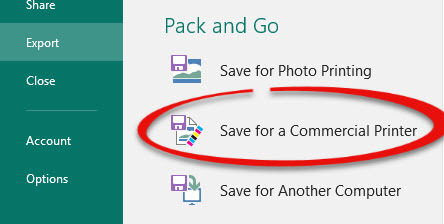 Use Pack and Go to include everything, like special graphics and fonts, in your document when sending to a commercial printer or transferring to a different computer. To complete these steps, you must have a disc or thumb drive to store the file. Step 1:Open the Publisher document you wish to pack. Click the File tab and select Export. Select one of the options under Pack and Go. Read more about Commercial Printer instructions and Another Computer instructions. 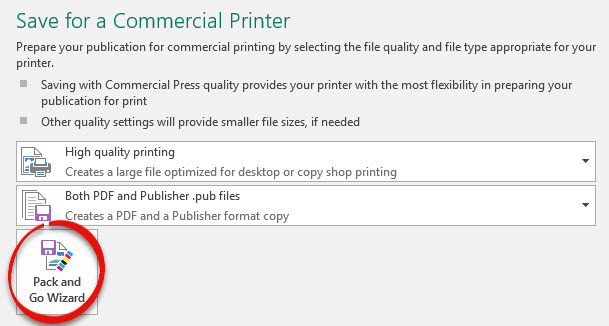 Step 1:Click Save for a Commercial Printer. 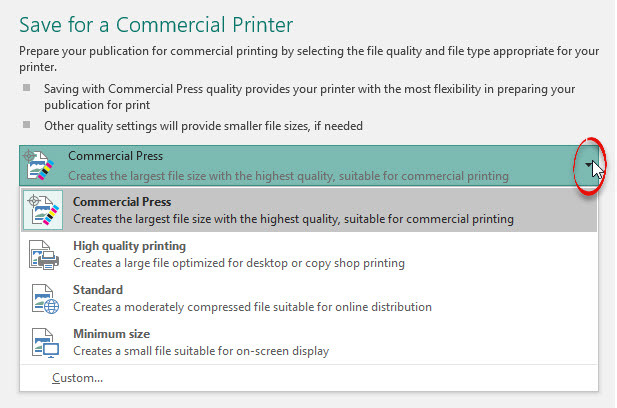 In the right pane, choose your printing quality by clicking the first drop-down list, labeled Commercial Press. 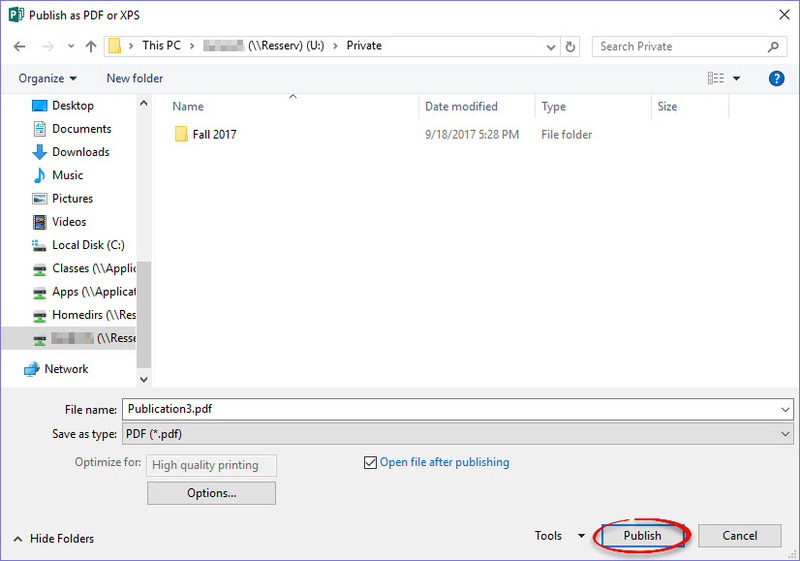 Choose your format (PDF or Publisher file) by clicking the second drop-down list, labeled Both PDF and Publisher .pub files. 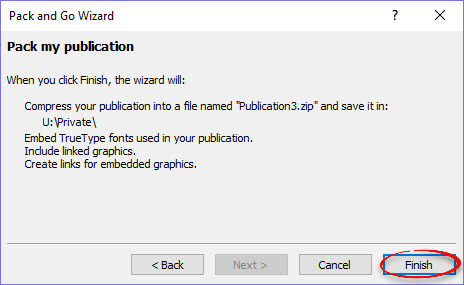 Click Pack and Go Wizard. Choose to pack your file on a disc or removable storage (thumb drive). Select Other location to choose your public or private folder as well. Click Next >. 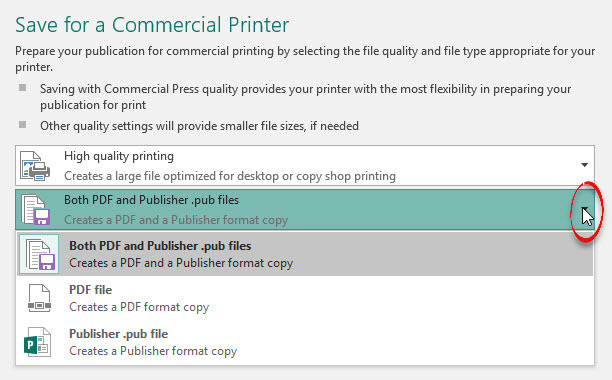 Check whether to print a composite proof (which will immediately print a copy to your own printer), then click OK. 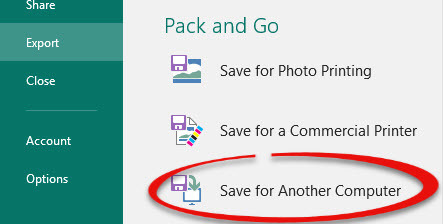 Step 1:Click Save for Another Computer. 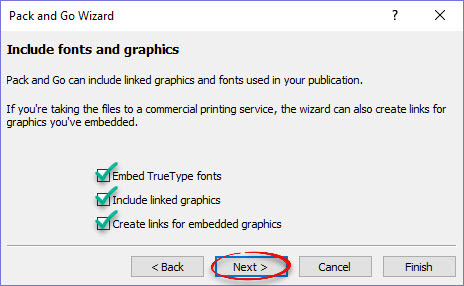 In the right pane, click Pack and Go Wizard. 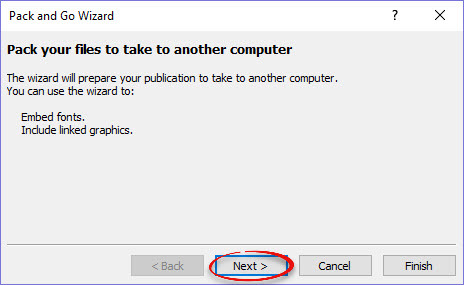 Click Next > on the wizard window. Choose to pack your file on a disc or removable storage (thumb drive). Select Other location to choose your public or private folder. Click Next >. Choose to include fonts and graphics. Click Next >. 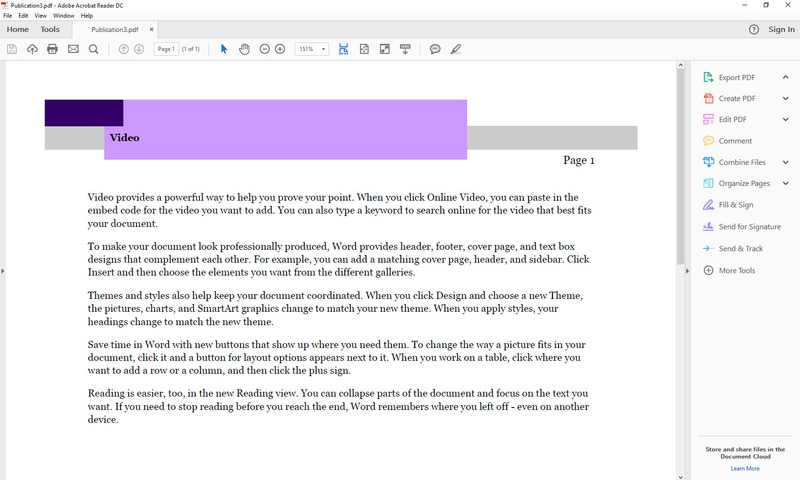 Save your document as a PDF/XPS to preserve the content, images, and fonts, for sharing across multiple computers. 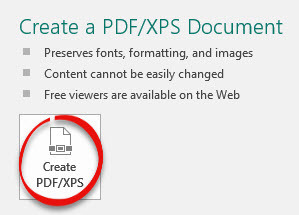 Step 1:Open the Publisher document you wish to save as a PDF/XPS. Click the File tab and click Export. 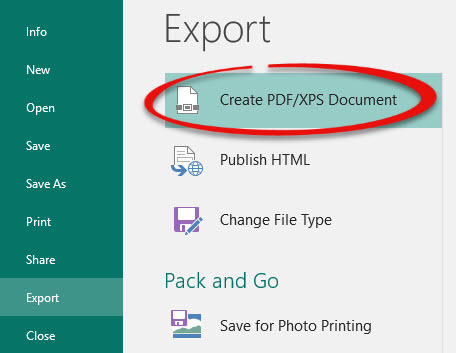 Step 3:In the right pane, click Create PDF/XPS. Note that your document is saved as a PDF. 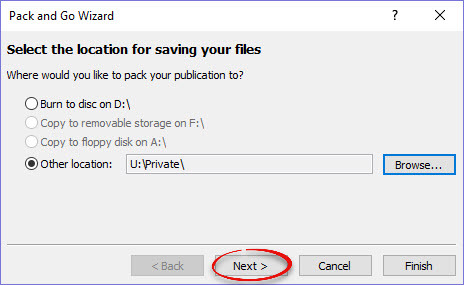 Choose a location to save your document, such as a thumb drive or your private folder. Click Publish. 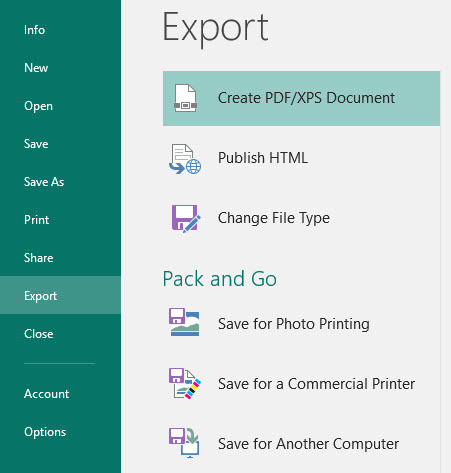 Your document will appear in Adobe Reader as a PDF for you to preview.